I love using eye liner pencils - the thicker the better. This ModelCo one comes with a built in sharpener in the lid. How handy is that?! 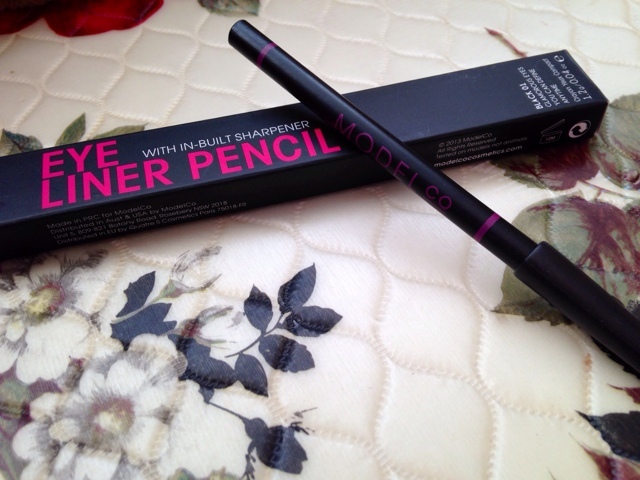 I'm always rummaging in my make-up bag looking for a sharpener but with this new pencil all my problems are solved. 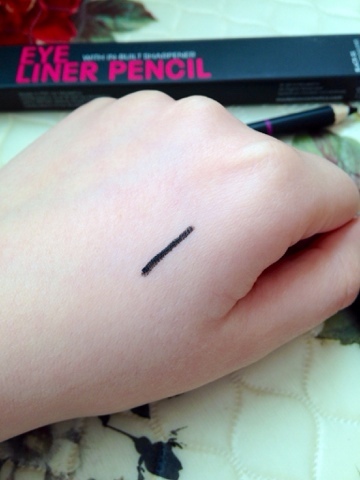 I swatched it on my hand (as you can see in the photo above) and it just wouldn't budge when I tried to wipe it off. I washed my hands with soap and it was still stuck on. I guess that can only be a good thing, I can imagine this lasting all day and all night! There are other free beauty products available with this issue: two different lip glosses, lip liner and mascara. 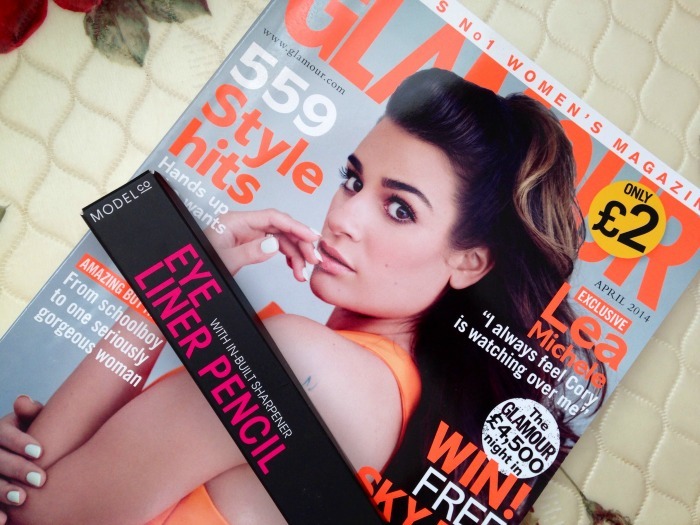 I didn't even look at the free gift when I picked up the magazine but I'm incredibly happy I got the eye liner, as it's something I always use. I spent my 25% off at H&M on the boots I featured in Monday's post. I saw a couple of girls using the voucher at the till so this issue will clearly be a very popular one. Have you picked up this month's Glamour?